It’s free! You can enter the festival and tents with no tickets, free of charge. You probably need at least €50 in cash per day/night; which covers 2 beers (1 litre each), some food (i.e. chicken) and 2 trips of public transport. There could be long queues to enter the tents. To avoid them, go very early (before 12 pm at least) or be ready to wait, especially on weekends. During weekdays it is normally easier, so you can go in the evening and find a table. 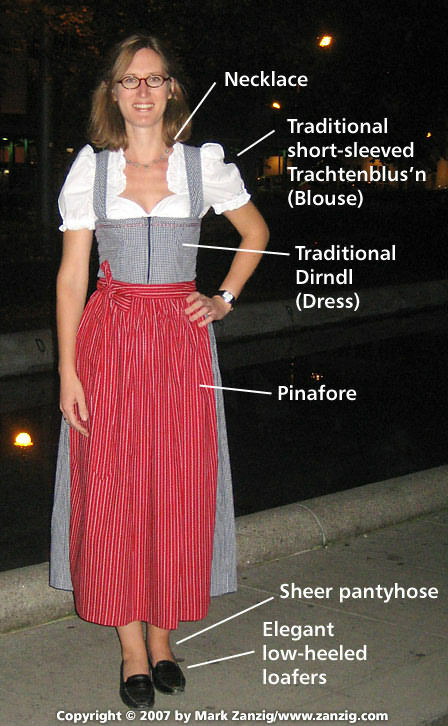 If you want to dress up, you will need at least €100, and there are plenty of places in Munich to get the clothes. But it is completely ok to not do it. For men, a simple checkered shirt would work. Avoid cheap/fake dresses, better to go casual. We recommend the following tents: Pschorr, Schützenfesthalle, Hacker, Ochsenbraterei. Beer serving hours: 10 am to 10:30 pm on weekdays and 9 am to 10:30 pm on Saturdays, Sundays and holidays. Get there by metro: we recommend Goetheplatz or Poccistraße stations, being Theresienwiese the main one. Avoid large bags. They check at the door and they could not allow them. You can only order from the seating area, although some waitress may take your order anyway. Do not hesitate to get a seat/table! And be patient with the toilets queue (women). 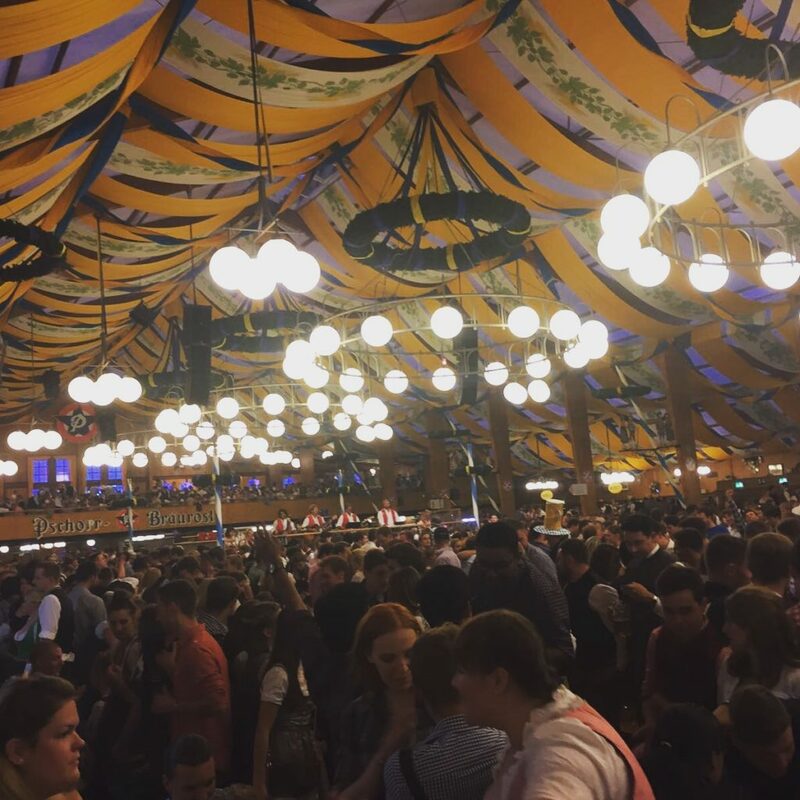 There is plenty of information online about Oktoberfest. Our intention with this post is to summarise it as much as possible, without leaving any important advice behind. 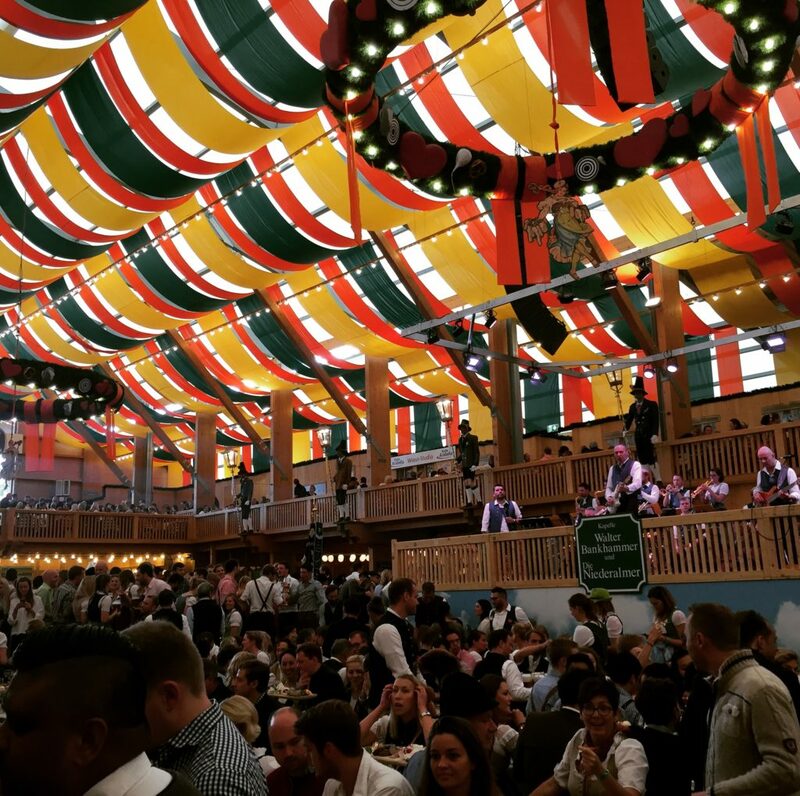 For more detailed information we recommend this Oktoberfest FAQ and also the official website. There is NO entry fee. You can enter the area and all beer-tents for free. For making a reservation in a tent you have to contact the respective beer tent. You can find this information on the official website. The best way to get there is by metro. Theresienwiese (U4 and U5) is the main station, which you can avoid using Goetheplatz (U3 and U6) or Poccistraße (U4 and U5). 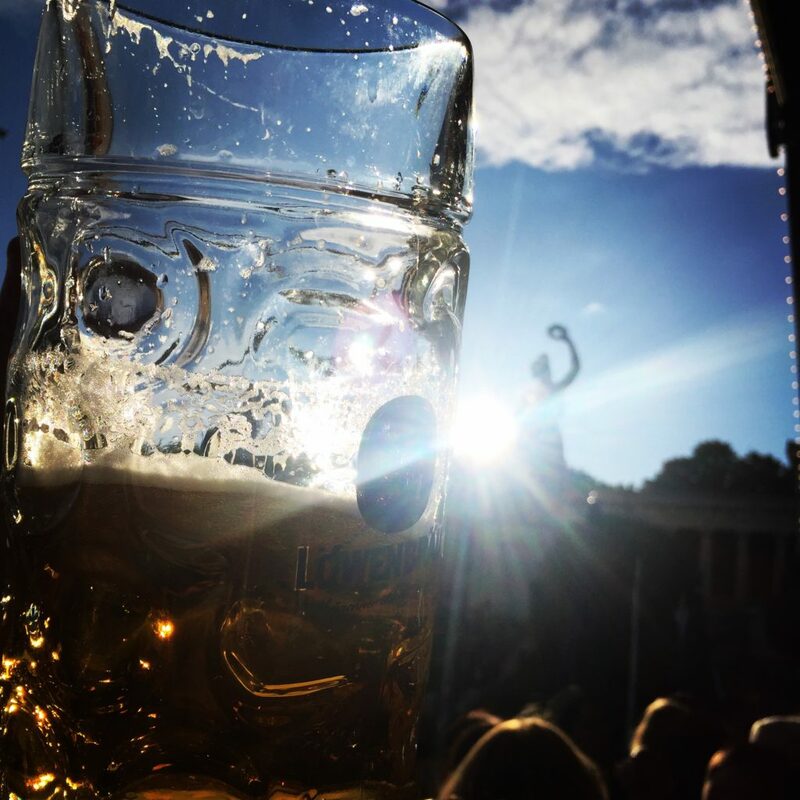 The massive glass of 1 litre of beer will cost between 10.60€ and 10.95€ in 2017, depending on the tent. This is an increase of 2.55% compared to 2016. Non-alcoholic drinks are expensive this year. A litre of drinking water will cost on average €8.73, an increase of €0.46 compared to last year. And a litre of lemonade will cost €9.55. You cannot bring your own food or drinks to the tents. An excellent balance between locals and foreigners, amazing vibe and the best beer. Not as big as the others, but great atmosphere and decoration. It is also famous for its pig with beer sauce and potato salad. Surrounded by clouds and stars, and always a cheerful crowd, this is an old time favourite. 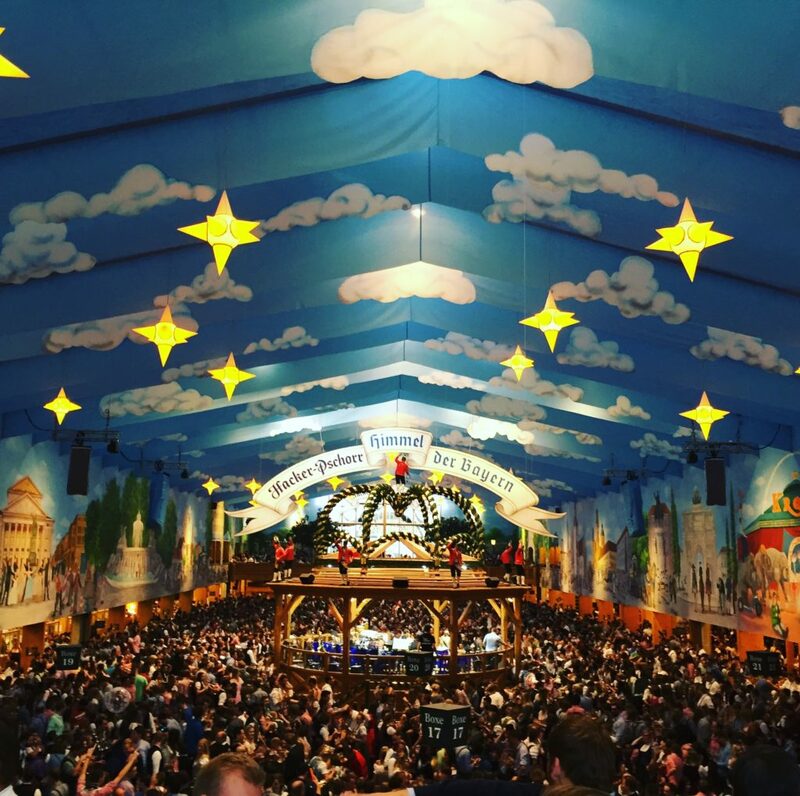 Besides the ones above, Augustiner-Festhalle is considered the one with the best beer (served from barrels), Hofbräu Festzelt is well known for getting crowded and full of tourists, similar to Löwenbräu-Festhalle. It is perfectly fine if you do not want to dress up, but avoid cheap/fake dresses, as it would be better to go casual. If you want to do it, be ready to spend at least €100. Locals normally take the clothes seriously and spend a lot of money on them. A good and cheaper alternative is to rent. I recommend using Bavarian Outfitters rentals. 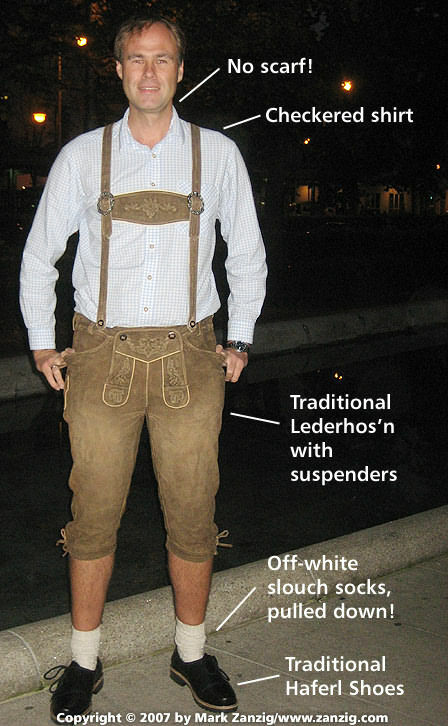 You can get a Lederhosen set (Lederhose, socks & costume shirt) for €49,90/day and a Dirndl for €42,90/day. In both cases, you get a 50% off the second day. Munich gets extremely busy during this time of the year, so you will need to book in advance. And if you want to find a good price, I would recommend booking at least 6 months in advance, although the sooner the better, and one year would be ideal. Frederics Serviced Apartments: we stayed in these apartments, good location and a decent price. Literally just outside Hohenzollernplatz metro station. Pension Lindner: another time we stayed in this pension. Right in the heart of the city, the location cannot be better, and they server an amazing homemade breakfast. Great value for money.